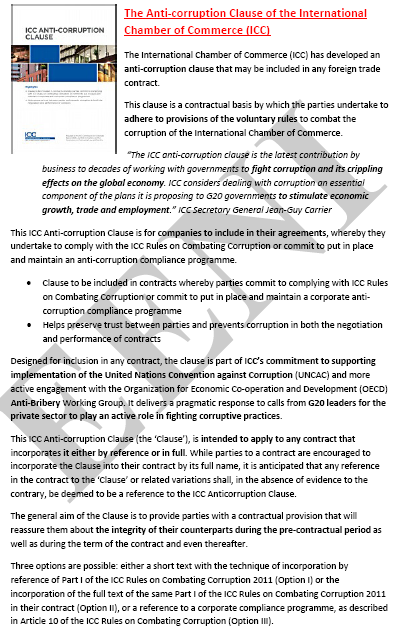 Intended for all those related to international trade and business, as well as public and private institutions, who wish to eradicate corruption in international business. Learning materials in (or No a la Corrupción Non à la corruption Não à corrupção). The student has free access to course materials in these languages. 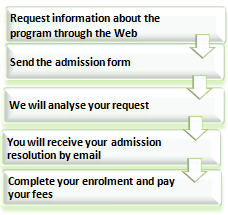 Students who have taken this course (No to Corruption in International Business) can validate and register for a Bachelor of Science, Master or Doctorate at EENI Business School & HA University. 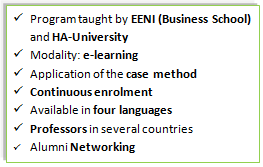 The course contains exercises that are evaluated, which the student must work out and pass to obtain the diploma “No to Corruption in International Business” issued by EENI Business School & HA Independent University. EENI's Commitment to Society “Programme: Combating corruption in international business.” Global Ethics, business, and religion. Infant mortality would drop by 75%. Corruption is one of the worst scourges of our society, affecting both public and private sector, its effects are devastating: can overthrow countries, distort the market, financing wars, limit aid development, erode democracy and human rights, limiting investments, or encourage organised crime. 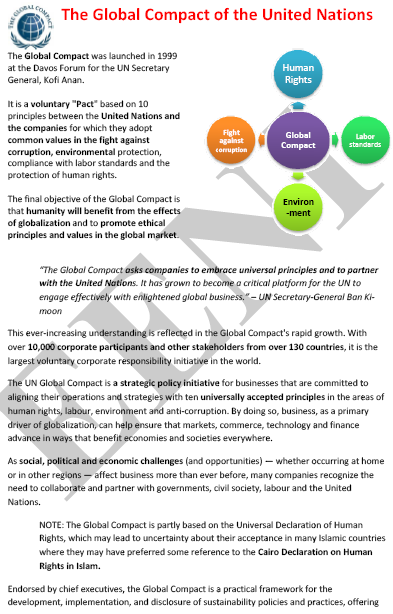 Organisations that fight against corruption (the United Nations - Global Compact, Transparency International, World Economic Forum, or the International Chamber of Commerce) estimates that, globally, corruption could account for 5% of global GDP (2.6 trillion dollars). “Corruption undermines democracy and rule of law. It leads to violations of the human rights. It erodes public trust in the Government. Corruption can even kill.” Ban Ki-Moon, UN Former Secretary-General. 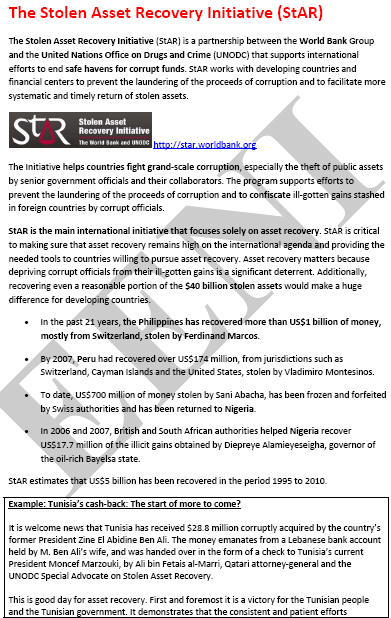 The World Bank (WB) estimates that the annual global cost of corruption, that is, what it costs to all the citizens of the World; it is between $ 1 trillion and $ 1.6 trillion. According to the World Bank (WB), the countries that effectively fight against corruption can reach quadrupling its national income, business would grow up to 3% faster, and infant mortality would drop by 75%. 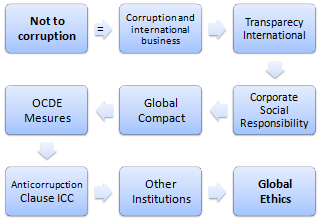 Corruption adds up to 10% to the total cost of doing business globally. Every year the European Union loses 1% of its GDP (120,000 million Euros) for corruption effects. Corruption is implicit with the Civilisation, but in this phase of globalisation and digitalisation of the economy, instead of being able to find ways and mechanisms that can override it, corruption has not stopped growing. 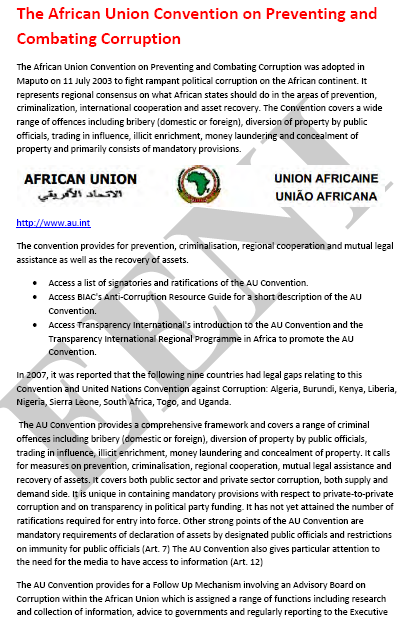 There are many initiatives to fight against corruption: United Nations (UN), OECD, European Union (EU), or the African Union. 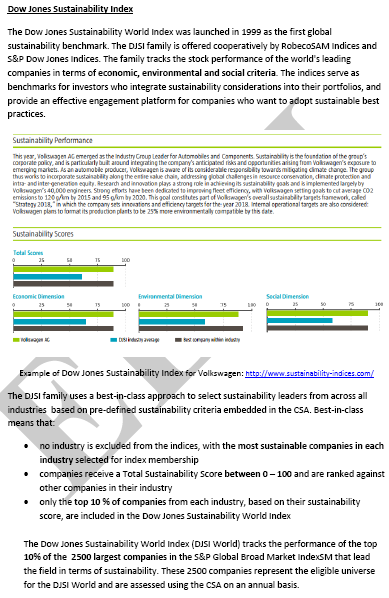 All these institutions are developing ethical codes that seek to alleviate corruption. However, the reality is that despite these mechanisms, most of them volunteers, corruption has not been able to be eliminated. In Africa, Strive Masiyiwa is one of the persons who are leading fight against corruption. Ethics and legal instruments will be undoubtedly the foundations that will allow us to eradicate corruption. “Corruption is not inevitable. It flows from the greed and triumph of the undemocratic minority over the expectations of the majority” Ban Ki-moon former Secretary-General of the United Nations.